"So, where are we off to now then mum?" 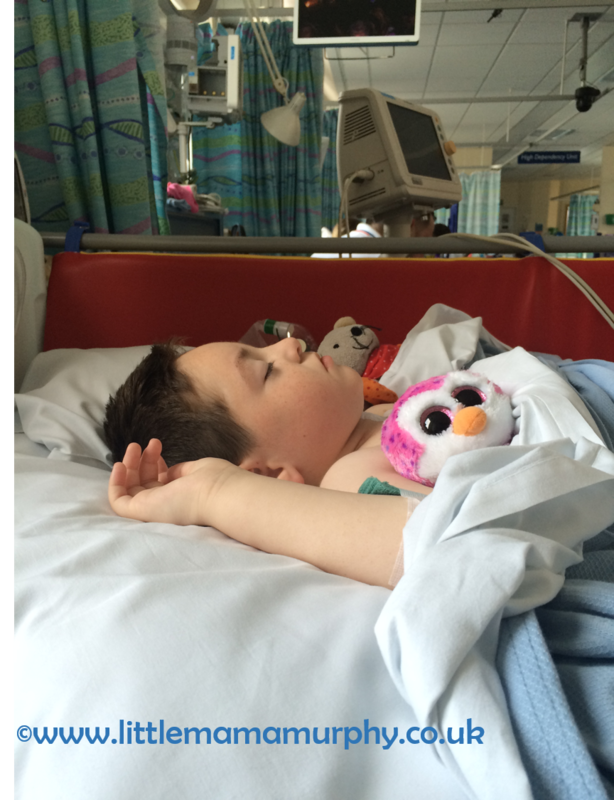 Second on the list for his VNS surgery, it was nearly midday before Hugh was called down to theatre. Unaware of what lay ahead he sat smiling in his wheelchair in the flimsy cotton gown. The theatre staff were brilliant and thoughtfully allowed me to take him down in his chair; he'd feel more comfortable and less threatened that way, rather than wheeling him on his hospital bed. He smiled all the way down to theatre, enjoying the new adventure. Although six years old, cognitively he's still like a baby so there was no way to explain what was going to happen to him. Instead he sat in my lap and I cuddled him and sang nursery rhymes as they held the gas mask in front of his face. I admit I had to swallow a rather large lump in order to keep singing. I felt like I was tricking him somehow. The hard part, I find, is handing him over, limp and lifeless, when the gas has done it's job. Leaving your child with strangers, when they're so fragile and vulnerable is utterly soul destroying. It took every ounce of my strength to walk away after giving him one last kiss on the head. I'm not sure it gets any easier, watching your child have a general anaesthetic. 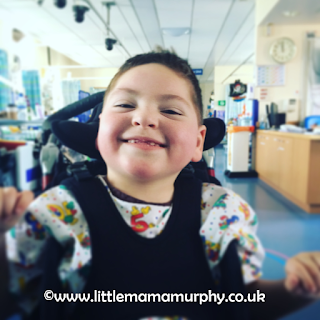 Despite his complex needs Hugh has had comparatively few GAs - two for MRIs of his brain, one to have his tonsils and adenoids out and one to have his gastrostomy feeding tube put in. It's probably more than most six-year-olds but it's significantly less than some children with conditions like Hugh's. The VNS surgery takes about an hour. They make a cut in the chest area to place the electronic device and another on the neck where they attach the electrodes to the vagus nerve. Thankfully, they don't have to go anywhere near his actual brain during surgery. 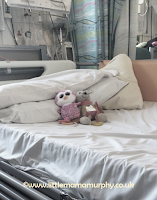 I was told to expect Hugh back after around two hours, by three hours I was becoming quite anxious, pacing the ward and moving things from the locker to the bedside table and back again. Finally after 3.5 hours we were called down. He'd struggled to breathe after surgery and they'd had to keep him intubated for longer than expected and when he did finally start breathing on his own his oxygen levels were too low. When I saw him in the post-op recovery room, he looked so small and frail. 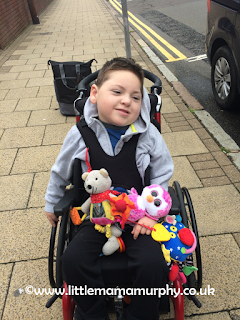 Whilst I know that this is the best chance we have of controlling his seizures, I couldn't help but feel guilty for putting him through the pain. 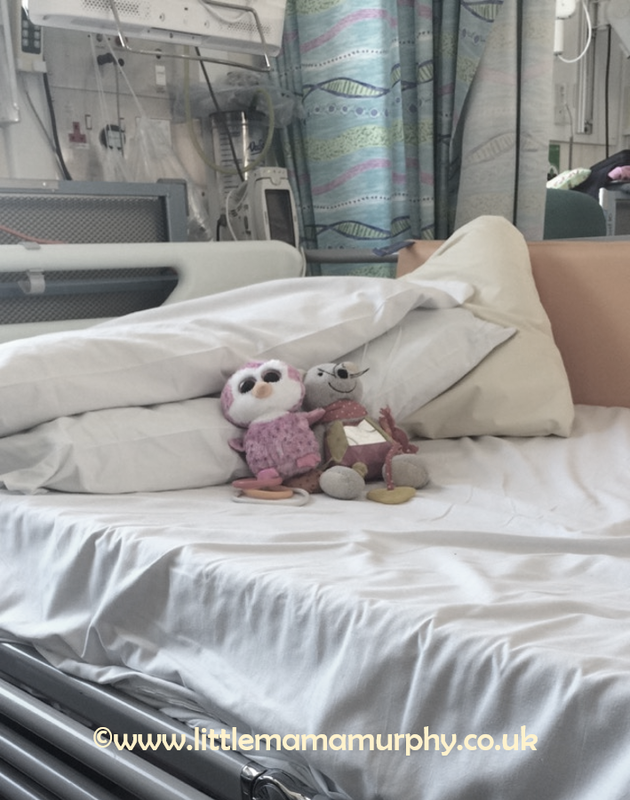 Back on the ward, after surgery. Although it took him quite some time to come round, the operation was deemed a success. Hugh remained in hospital overnight and was discharged the following day, with an appointment to switch on the device in 10 days time. And so, Hugh's VNS adventure begins. "Adventure? I'm up for an adventure ..."
Good luck with the VNS! This post had me in tears, you are so brave but I know it's not a choice you just have to be. I know I would have been a bag of nerves after two hours, I could not have kept calm with all that waiting. I really hope it goes well when they switch on the device. Thanks Jane- I was very anxious, but all was well in the end.